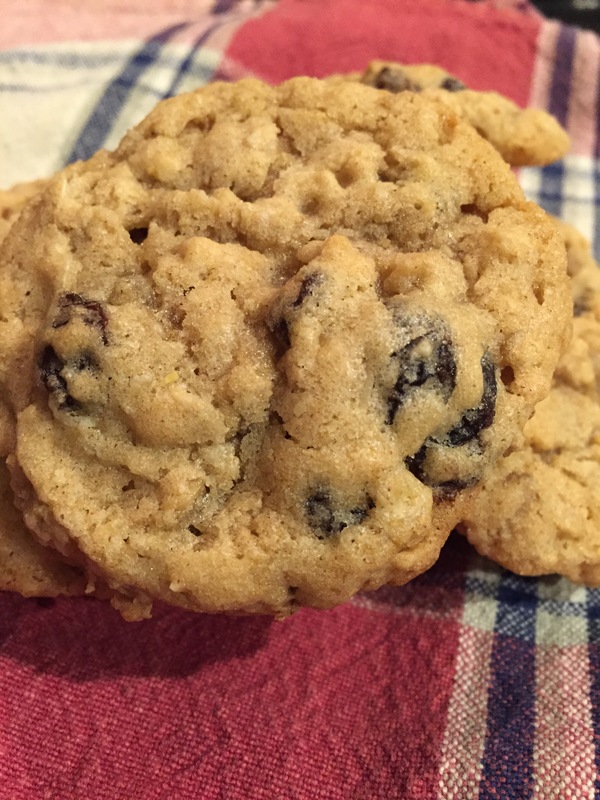 Chris’s favorite cookie is Oatmeal Raisin. Soft oatmeal raisin cookies, and these measure up. He had a work potluck last week and he asked that I make the Buffalo Chicken Dip, which I did, but then I threw these in for good measure. Bake for 9-10 minutes or until a light golden brown. Transfer to cooling rack to cool completely.